Accidents involving pedestrians happen while a person is walking on street, sidewalk or in public place. Often these injuries may be minor and the victim may recover quickly. There are also many times when a pedestrian accident results in life changing injuries or death and that is when Rice Law Group will be there to guide you through every step of your case. Young children and the elderly are the two age groups most commonly involved in pedestrian accidents. 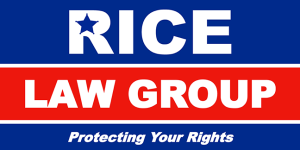 Rice Law Group P.A of South Pasadena takes Pedestrian accidents very serious and will use our expertise to make sure all victims are fully compensated for losses and injuries sustained during the accident. 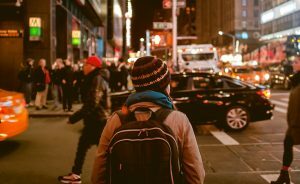 Here are some statistics relating to pedestrian accidents throughout the country. – Almost 5,000 pedestrians are killed annually. Many of these accidents have more than one contributing factor in the pedestrian accident. Both pedestrians and those driving a vehicle on the roadway have a level of responsibility while occupying the roads, sidewalks and walkways. With all of the traffic on our South Pasadena and St Petersburg streets it is best to put down the electronic devices, maps, radios and watch the road. One second is all it takes for a driver to make a mistake and be at fault for a pedestrian accident. Drivers should pay extra attention for elderly who may not be as focused while using the walkways or crossing roads, and for young small children who might not be as easy to see while on the street. Most of the time the driver of an automobile is the at fault party in a pedestrian accident. However, There are times when a pedestrian may be at fault as well. This occurs when the pedestrian failed to exercise caution while crossing a roadway.